Here is part 3 of Atheismnthecity's poor attempt to refute my refutation. I will easily refute his/her restatement of his/her errors. Again, notice how atheismnthecity resorts to ad hominem and never actually touches my refutation. My replies will be in bold and in blue. We can see atheismnthecity engaging in ad hominem once again. Since he/she cannot directly address my refutation, he/she attempts to save face by attacking me and my credentials. My readers are not stupid. Perhaps atheismnthecity is used to garnering the attention of the uneducated, I am not. My readers stem from a variety of academic backgrounds and understand that atheismnthecity lacks a college degree and is misrepresenting science and philosophy. This is evidence in the many Facebook comments I have received which mock atheismnthecity's take on philosophy and science. In fact, I have even demonstrated how several atheists have mocked his/her posts. Dude, you're simply repeating the same fallacies Sac already addressed. Are you even reading his reples?? He's making you look very stupid. The problem here (which I warned you about) is that you're placing philosophical axioms as science. If other atheists call atheismnthecity out for his/her errors then this speaks volumes of the errors this blogger passes off as fact. Moreover, my readers have seen how he/she has claimed superior knowledge to that of Dr. Kaku and even atheist propagandist Dr. Lawrence Krauss. We are clearly dealing with someone with a Dunning-Krueger disorder. I understand the theological claim that god is immutable. I think it's bullsh** and backed up by no evidence or logic, and Sacerdotus has given us zero evidence that god actually is immutable. I know it's asserted, I'm saying it isn't proved. Just because [god] is the Necessary Being, that does not mean that he necessarily had to (note the human past tense) create this and only this world. It's not my fault Sacerdotus is too ignorant to understand his own religion. And this from a guy with a supposed degree in philosophy! I'm telling you Sacerdotus, ask for your money back because your degree is worthless. Either that or you slept in class all day. But it gets even better (for me). It is not that I do not understand philosophy, I have a degree in it and am a member of Phi Sigma Tau. I was taught by famous atheist philosopher Dr. Pigliucci. This author is just an amateur arm-chair quack. What he/she presents is not philosophy. It is a sophism. 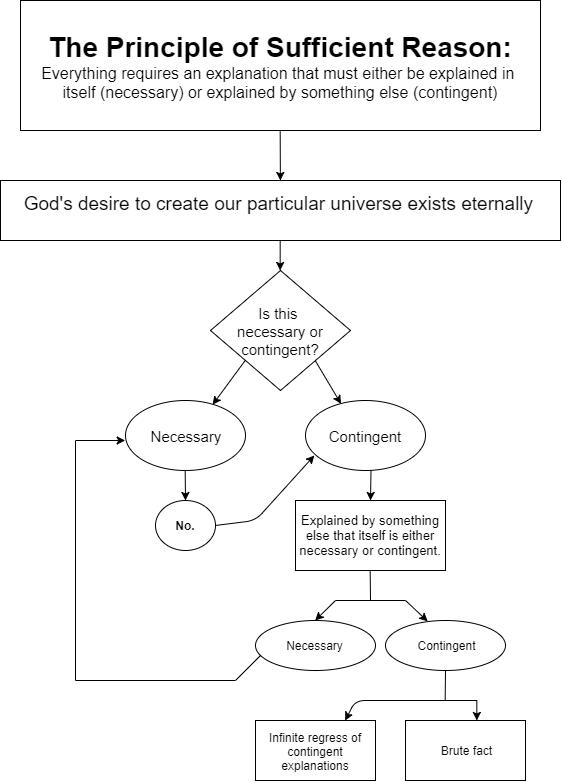 C. Therefore, it is logically necessary that god had to create this — and only this — particular universe. I bet it will be laughable. The author clearly does not understand what necessity means in philosophy. Aquinas argued that all things that exist are dependent on other things for said existence. He then continues that there is a Necessary being which He described as God. If the author understood this, he/she would not have used the argument he/she used. Instead, the argument of infinite regression would have been better, despite being flawed as well. So in fact, the author has no point at all. There is no dilemma. I know what necessary means. To say that god is necessary is to say god is logically necessary. In other words, god cannot fail to exist. If something is logically necessary, it's also metaphysically necessary. I'm familiar with Aquinas's concepts. I think they're wrong. Merely being familiar with something doesn't mean I must agree with it. This is because Aquinas was wrong. 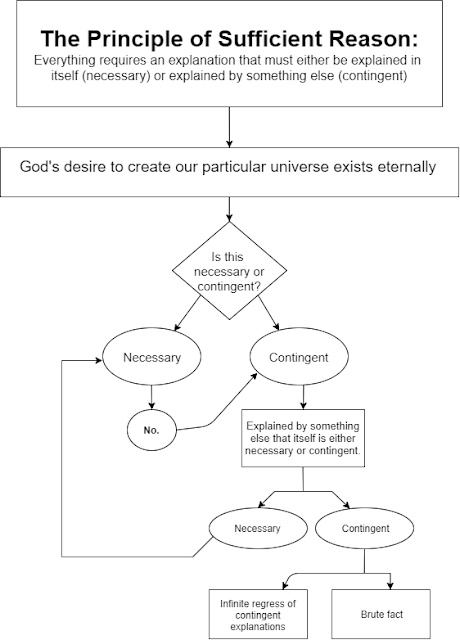 Once you say that god's essence is identical to his will (which Aquinas says) and you can show that god's will is not logically necessary, as I showed and as Dr. Bonnette affirmed, you will necessarily get a dilemma which entails an infinite regress or a brute fact outlined in my original flow chart. It is logically impossible to avoid this dilemma once you have (a) god's essence is identical to his will, and (b) god's will is not logically necessary. Sacerdotus would have to make a logical argument showing it is logically necessary that god had to create this — and only this — particular universe in order for me to be wrong. And no one can do that since everyone knows our universe is not logically necessary. Dr. Pigliucci (whom I've met and talked philosophy with on numerous occasions and who I generally admire) would be deeply disappointed with Sacerdotus's lack of critical thinking skills if he is indeed his former student. God's will is necessary if He is the creator and necessary being. See where the author fails? He/she is completely confused with the terminology. No it isn't logically necessary and Dr. Bonnette affirms this. He and Dr. Bonnette make the mistake of confusing logically necessity with ontological necessity, the latter being a claim falsely derived after-the-fact via the idea of suppositional necessity, a farce. God created the world according to His wisdom. No necessity is needed. The argument from necessity entails that the universe needed a necessary being, not that the necessary being needed to create the universe. See where the author simply gets it wrong? "Moreover, the author claims that God created only one universe. We simply do not know this. For all we know, there can be multiple universes that God has created and chose not to reveal to us. In the Bible, it says that God 'rested,' not that He stopped creating (Genesis 2:2-3)." Again, the author simple restated his/her error and added personal attacks. This shows that he/she is defeated and is resorting to pigeon chess. And my argument doesn't rely on there being one universe. There can be billions of universes and my argument would still work: why did god create these particular billion universes and not another billion? Same problem. He even contains this quote of mine on his site and still claims I didn't respond to it. Sacerdotus is either a dishonest liar or unable to read. I suspect he's both. The words in italic/underscore is what atheismnthecity ignored. Notice how Dr. Pigliucci states that the trilemma comes about via logical reasons, then he uses the famous word "BUT" by stating that logic needs to make certain assumptions to work. This is my point exactly when I have stated that logic is merely a social construct and not the absolute measure of things. Again, atheismnthecity seems to not understand that my replies address his/her take on the Munchausen Trilemma. See my actual words here: http://www.sacerdotus.com/2017/11/sacerdotus-is-stupid-alleged-uneducated.html. "If someone states something to be certainly true, we are well within our rights to ask him how does he know that." To date, atheismnthecity has yet to provide any proof why he/she believe his/her views are true. Instead, all we have gotten are ad hominem remarks and deflection. Again, we see how atheismnthecity did not even bother to address my criticism of his/her appeal to the Munchausen trilemma. He/she responds with a straw man argument instead. Next, we see the author's cherry picking. He/she appeals to apriorism by only accepting what works for him/her while ignoring everything else. This is because the "everything else" refutes his/her errors. Denying the immutable nature of God shows a poor grasp of logic and philosophy. I have explained to atheismnthecity what the immutable nature of God is. It seems to me that he/she just googled it and had no prior knowledge of it. If he/she had prior knowledge, he/she would not have written the poor blog post that he/she wrote. By logic alone, we can see how the immutable nature of God works. God's immutable nature is at the heart of the debate as to whether something is good because God says it is or because it is good. If atheismnthecity rejects the immutable nature of God, then he/she cannot make any argument against it due to lack of knowledge. We can see clearly why atheismnthecity is just an armchair amateur blogger who has no credentials in philosophy. God is the absolute being. He is love. He is goodness. He is knowledge etc. This is logically feasible based on philosophy and theology. Again, we see how atheismnthecity cherry picks logic. He/she seems to think that what is logical is only what he/she claims is logical. This is not how logic works. "In his second major work, Philosophical Investigations, the famed linguistic analyst Ludwig Wittgenstein warned that people can become “bewitched” by the formalisms of their own language. You are seeing a contradiction here where none exists. Just because God is the Necessary Being, it does not follow that whatever he chooses must flow necessarily from his eternal essence. When you play with terms, like “necessary” and “contingent,” it is easy to become bewitched by what you think is the necessary logic of your contingent thinking. "I notice you give a reason as to why the principle of sufficient reason is allegedly false. If you really believe what you are saying, why bother giving any reasons? It is a bit of a pity to see modern atheists attempt to relate the content of classical metaphysics, when the giants of the medieval period had centuries to work out the metaphysical problems the moderns cannot even express accurately. Without indulging all the misconceptions that may be packed into your formal argument, let me explain why God’s creation of the world is entirely compatible with the principle of sufficient reason. The world is created by God, and so it has a sufficient reason. God Himself has a sufficient reason, since He is his own sufficient reason. You seem to think that God willing to create this particular world from alleternity entails some sort of logical problem. It does not. Because of the divine simplicity, in God all is identical (save for the theologically known distinctions of relations found in the Blessed Trinity). That means that His intellect, will, acts of intellection, acts of will, and the divine substance itself are one and the same. Yes, He is eternal and utterly outside of time. Thus, the beginning of the world was a beginning for the world, but not for God. God eternally willed and caused the world to have a beginning with time as a property of material creation. Was God forced to create this particular world in some fashion? Absolutely not. He knew from all eternity He would make this unique creation, but He was utterly free in so choosing to do so. He did so, not for the desire of anything the world could give Him, but simply to freely manifest His own glory. There was no neo-Platonic necessity in this free creative act. Now, is there an after-the-fact necessity? Yes, there is. Since God did, in fact, make this world, from all eternity He "had" to do so. This leads one to think that some sort of logical necessity binds God to this particular creation. But that is to engage in a form of Monday morning quarterbacking. We know that God eternally made this world and chose to do so for all eternity solely because we are here to see the effects of His eternal choice. There is the logical necessity that what He has written He has written. That just means that His free will freely willed what it freely willed. He was in no manner forced to make that choice, since the object of His choice, the world that He made, in no manner forced His decision – a decision that eternally expressed His very being as identical to the Free Choice that He is. From God’s perspective, He is an act of free choice, an eternal choice, which begat this particular creation. There was no ontological necessity a priori making Him make this choice. From OUR perspective, it appears necessitated solely because we are already on the receiving end of this eternally unchanging choice. Again, absolutely no violation of the principle of sufficient reason is entailed here. God is His own reason and His free eternal creative act is the world’s reason. There is no brute fact here at all. Since God’s own free choice is both absolutely free, and yet, absolutely identical with His eternally unchanging, but infinitely active, essence (which is identical to His act of existence), the creation of the world is perfectly grounded in God as its sufficient reason." "Therefore, it is logically necessary that god had to create this — and only this — particular universe." This is not our premise. There is no evidence, either hard or soft which states that God had to create this and this particular universe. I have stated before that all we know is that God created this universe and rested. We are not told whether or not He continued to create in this universe or created others. As Dr. Bonnette stated, there is no contradiction. There is no dilemma. The contradiction and dilemma exists in the poor reasoning of atheismnthecity, not in reality. Due to his/her lack of philosophical credentials and understand of philosophy, atheismnthecity has developed ideas which are based on sophism. They are not rational or logical. Even Dr. Pigliucci contradicts atheismnthecity in the link the latter provides. Atheismnthecity claims to have met him, but I seriously doubt this. It was Dr. Pigliucci who recommended me to Phi Sigma Tau during my college years. I have photographs of us enjoying some wine in his office! Moreover, I have his personal contact information. While I have respect for him and had fun in his courses, this does not mean that I will treat his views a doctrine. A real philosophy student thinks freely and questions. If atheismnthecity thinks one must take a philisopher's views as doctrine, then clearly he/she does not understand how philsophy works. "Why not one with one extra atom, or one extra star?" Here we see the author's poor understanding of cosmology. The universe is expandng as we write. Stars are constantly being "born." With the expansion, atoms continue to form. God's creation is not finished. Again, nowhere in Scripture, Theology or Catholic doctrine will we see that God finished creating. Had atheismnthecity engaged in honest research instead of relying on Wikipedia, he/she would know these facts and could better formulate reasons instead of providing the disaster that he/she provided on his blog. The graphic atheismnthecity provides regarding The Principle of Sufficient Reason is easily refuted with the understanding that God is the necessary being. All stems from God. Because all stems from God, all things are contingent. Remember, God is the absolute. Nothing can be added to an absolute. Atheismnthecity does not understand this and Dr. Bonnette pointed it out in the DISQUS discussion. Again, we see atheismnthecity simply does not have a grasp of philosophy. He/she restated his/her errors which I have already refuted. In his/her rush to attack me, he/she provided a dISQUS discussion which shows a Catholic philosopher telling him/her exactly what I have been refuting him/her with. Moreover, even Dr. Pigliucci contradicted atheismnthecity. In a person note, let me state that Dr. Pigliucci is not fond of classical logic. He finds it useless and restrictive. There is no way Dr. Pigliucci would classify the conclusions of atheismnthecity as logical or reflective of philosophy. As stated before, a professor would give atheismnthecity an F.
I refuted why the author's claims that an infinite goodness attribute in God is incompatible with evolution. I explained how the author is making false conflations and applying social constructs to concepts when they are not applicable. For example, we cannot say hurricane Maria was evil and cruel because it wiped out Puerto Rico. That is absurd. Hurricane Maria was a natural phenomenon. It does what it does(rain/gusts etc). To claim that this natural phenomenon is "cruel or evil" is extremely stupid. Only sentient beings are capable of cruelty and evil. I seriously cannot believe he has a degree in philosophy. At this point I know that screenshot is fake. No one with a degree in philosophy can be this utterly stupid. First, suffering is not a social construct. If I set your body on fire, you cannot say such suffering is merely a social construct. Would any reasonable jury let someone free by hearing that the victim's suffering was merely a social construct? This guy is stupid if he thinks so. We can see how the author does not have a strong grasp of vocabulary and how to apply words accurately to nouns. No evolutionary biologist would say that nature or evolution is cruel of clumsy. This would be extremely bad science. To make such a claim is to put an inert event or object at the same level as a conscious and sentient being. 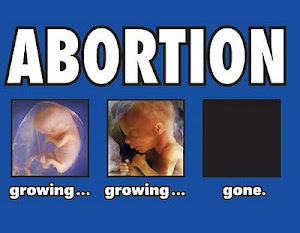 Moreover, not all organisms die a painful death. In fact, not all organisms have pain receptors! Suffering is a social construct. Human society simply uses that word to describe what it perceives as something unpleasant. But is it unpleasant? This is debatable. He muses on how I can be so uneducated only because he is so completely ignorant of the subject matter that to him I seem stupid. This is a known problem as well. I think every evolutionary biologist would say the evolutionary process is cruel. Survival of the fittest is cruel. It means death for the unfittest. And as far as clumsy, by that I mean that evolution is a blind process. It doesn't plan ahead. Mutations happen and they either benefit and organism or they don't. Most of the time they don't. That's what's so clumsy about it. My argument doesn't rely on all organisms dying painful deaths. He's too ignorant to know that. All I need is just one animal dying a painful death from natural causes to make my argument, but we have billions. Suffering is a real thing. Being burned alive is undeniably suffering if you don't want it. Nice try. Some people derive sexual gratification from what others may call suffering. Who is right? This is why we say that suffering is a social construction. Being eaten alive can be classified as suffering but also can be classified as the food chain/prey vs predator. This is easy, if you do not want want pain/being eaten alive and it's being forced on you, it is suffering. This guy us hopeless. By his own logic, god is a social construct, and we can just classify it as make believe. If he disagrees with this he then has to disagree with his own points here. No one with a philosophy degree would be that foolish. I appeal to Genesis to explain to the author the way Judeo-Christian thinkers view suffering and why it exists. We are discussing God and religion, are we not? Christianity explains the existence of what we call suffering as a consequence of Original Sin. I cannot use physics or psychology to address the Christian view of it. I have to use theology and Scripture just like an engineer needs to use geometry. You cannot appeal to Genesis to explain suffering because Genesis is historically inaccurate. Every smart Christian knows Genesis is not a literal history. If Sacerdotus is trying to appeal to young earth creationism here to explain suffering, this is laughable, especially for a person claiming to know more about me in science. Evolution is incompatible with a literal Genesis reading, as is geology, paleontology, earth science, astronomy, and cosmology. So Sacerdotus has to pick between science or a literal reading of Genesis. They can't both be true. And merely because a book says X doesn't make X true. The Bible is the claim, not the evidence. The author claims that there was no Adam and Eve. This is simply false. Note how he/she offers no evidence. We know that all human beings have genetic information from one woman who is believed to have lived in Africa. Biologists acknowledge this fact. Via speciation, we know that there had to be a man and woman who were compatible with each other to the point of allowing reproduction which allowed for the homo sapiens to exist and become the dominant species. There may have been a couple of “bottlenecks” (reduced population sizes) in the history of our species, but the smallest one not involving recent colonization is a bottleneck of roughly 10,000-15,000 individuals that occurred between 50,000 and 100,000 years ago. That’s as small a population as our ancestors had, and—note—it’s not two individuals. “although all the Y chromosomes of modern humans descend from this one individual, the rest of our genome descends from a multitude of different ancestors who lived at various times ranging from 100,000 to about 4 million years ago. Our genome testifies to literally hundreds of ‘Adams and Eves’ who lived at different times—a result of the fact that different parts of our DNA were inherited differently based on the vagaries of reproduction and the random division of genes at when sperm and eggs are formed.” It’s not just mitochondrial and Y-chromosomal DNA we have to consider, but the entire human genome. And that shows clearly that parts of the genome go way back before the DNA on the Y and on the mitochondrion. Indeed, parts of our genome originated even before our divergence from the ancestors of chimps! The problem of a historical Adam and Eve has gotten so bad that many Evangelicals have abandoned belief in them in light of recent genetic evidence. According to an NPR report a few years ago, some Evangelicals have even been forced out of their jobs because of it (yet another reason that faith and science don't mix). From the article, "Evolution makes it pretty clear that in nature, and in the moral experience of human beings, there never was any such paradise to be lost," says John Schneider a former teacher of theology at Calvin College in Michigan. Sacerdotus's claim that Adam and Eve's sin brought suffering into the world is absolutely baseless in modern science. It is a completely 100% faith based claim contradicted by all the evidence. Sacerdotus has no idea what he's talking about. There is no evidence of an Adam and Eve who lived at the same time and who we all descended from, let alone who were the first two people. There is no evidence suffering began when humans began, or all at once. The burden of proof is on the person making such a claim. Human beings did not appear out of nowhere. Once again, we see the author lacks an understanding of philosophy, biology, and anthropology. My book refutes his nonsense and other atheist misconceptions. This is why it is popular and has converted 18 atheists to date! It is no wonder why this author is afraid to read it. Evolution is false and doesn't happen. Sacerdotus needs to clarify what his position is because he's overly vague. Unlike the author, I do not rely on my own narrative. I cite peer review journals, books, and experts to show why atheism makes no sense and is stupid. When you write a book calling atheists stupid, you're beginning your claim with an insult. That's why I gave him a taste of his own medicine. And what does he do? He claims that all I made is an ad hominem attack! The irony. I'm not too afraid to read his book. Please. I've read and refuted Christian apologists way more sophisticated than this internet quack with a fake degree. See here for example. And see here for the numerous theistic arguments I've taken on. I'm just not going to waste money on this fool's book because I know for a fact it is low level apologetics due to his outstanding ignorance on the subjects and inability to understand my arguments and the science and philosophy supporting them. Here atheismnthecity begins with a nonsensical remark. He/she claims that I am ignorant of science and philosophy despite his/her own writings demonstrating that he/she is the one who lacks knowledge. If atheismnthecity thinks that one can apply social constructs to nature, then he/she is clearly allergic to reason. One cannot applying social constructs to nature or non-human things. It is illogical to claim that a dog falls in love or that an elephant is evil because it squashed a poacher. Nature works independently of our constructions. Notice how atheismnthecity does not actually address my refutation. Instead, his/her replies are ad hominem. He questions my degree in philosophy and the screenshot of my credentials despite a URL being present which links to CUNYFIRST. CunyFirst is the portal used now by the university for students and faculty to access records, pay tuition, add/drop classes. Atheismnthecity can ask Dr. Pigliucci about this. Dr. Pigliucci will confirm what I am stating. We can dismiss atheismnthecity's claims as envy and an inability to address my points. Remember what Socrates said about the loser of a debate resorting to slander. Zola IK.NLN Publ. 1992 Mar;(15-2461):11-23. "Suffering is a social construct. It is a word that we give to a particular experience which we describe as unpleasant. What is suffering exactly? Philosophers debate this all the time. Is suffering when a child is forced to eat vegetables? How so? Are not vegetables good for the child?" Suffering or the concept of it is relative to time, circumstance, culture and experience. Masochists do not perceive suffering in the manner atheismnthecity describes it in his/her response. They see it as pleasure, not an unpleasant experience. This is because suffering is a social construct. Suffering is not someting that exists in nature. We see this in the case of people with CIPA or Congenital Insensitivity to Pain and Anhydrosis. These people cannot feel pain. They do not understand what it means to "suffer" in the conventional sense. Suffering is a word we use to describe what we may describe as pleasant. This is not difficult to understand. It seems atheismnthecity is having difficulty grasping this and it is no mystery why. He/she simply lacks education in philosophy. He/she has no formal instruction in it. Again, atheismnthecity has no college degree. "Natural phenomena is only free of evil on atheism becaus there is no God behind it." This make absolutely no sense. Is atheismnthecity stating that natural events are free from evil because of atheism? We can see here who is the real stupid one and it is not me. Atheismnthecity seems to not realize that his/her statement makes God the measure of what is evil and good. A real atheist would not make such a statement. It is clear that atheismnthecity does not understand atheism or is a person pretending to be an atheism. Moreover, atheismnthecity is working with another straw man argument. he/she claims that "On theism, natural disasters are evil because there is a God behind them..." This is not what theism posits. If atheismnthecity thinks God is micromanaging nature, he/she is extremely foolish. We do see instances in the Bible where GOd enacted justice against evildoers, but this is in no way and indication that God is behind every natural disaster out there. Traditional Catholic theology posits that nature rebels because of man's sin not because God is out there sending disasters as if He were playing SimCity. "(1) God (an omnipotent, omniscience, omni-benevolent being) exists. (2) Natural evil exists. (3) God is the creator and designer of the physical universe, including the laws that govern it. (4) Natural disasters, and the evil they cause, are a direct byproduct of the laws that govern our universe." These collasped on the mere fact that we cannot apply social constructs to natural events. Again, we see atheismnthecity's poor understanding of philosophy and the misuse of terms which Dr. Bonnette called him/her out on. Next, atheismnthecity makes all kinds of fallacious claims and demonstrates to us all his/her poor understanding of science. No evolutionary biologist claims that the evolutionary process is cruel. That would be a human judgment based on social constructs and not science. Evolution is US. We are a part of it. To say that it is cruel is ridiculous. Evolution does not have to answer to us or any organism. It is a blind and random process. As Dr. Neil Degrasse Tyson often states, "The Universe does not owe us an explanation." Similarly, evolution does not owe us an explanation or an excuse. It just is and we have to live through it. It is neither clumsy, perfect or imperfect. Evolution works based on the variables and factors that affect those variables. Atheismnthecity erroneous claims that most of the time mutations do not benefit an organism. This is not true. Mutations are essential to evolution and without them, evolution would not happen, see: https://evolution.berkeley.edu/evolibrary/article/mutations_01. We can see once again the science illiteracy of atheismnthecity. He/she simply does not have a grasp of science or philosophy. This is why I am even paying attention to atheismnthecity's stupidity. I want others (both atheists and theists) to see that this person's blog is full of nonsensical rants that do not reflect actual philosophy, theology or philosophy. Some have stated that the internet is making people stupid. We can see why when anyone without a college education can pretend to be a scholar and write blogs that are void of facts. Naive readers read these blogs and get misinformed. It is a cycle of ignorance. Atheismnthecity's blog is just embellished codswallop that engages in sophism. Thankfully, I have the skill and academic credentials that allow me to easiyl refute the bilge presented by atheismnthecity. We see atheismnthecity's errors again with his/her poor understanding that suffering is a social construct. He/she continues to show his/her ignorance by claiming that "you do not want want pain/being eaten live.." This shows his/her poor understanding of pscyhology as well. As stated, there are some out there who get sexual gratification from being eaten alive. They call this vore. Some even fantasize about being eaten by giants or giant creatures via the concepts of macro/microphilia. These are all things I learned about in my abnormal psychology courses and why I can bring them up in a discussion. Since atheismnthecity has no college degree, he/she is not able to use a variety of sources to make an argument. He/she can only appeal to ignorance and his/her own cognitive bias. Next, atheismnthecity claims that by my logic God is a social construct. This is also not feasible because we are hardwired to believe in God. How can we be hardwired for a construct created by man? This would mean that man existed prior to his own evolution since social constructs exist in the thought of man. We can see how ignorant atheismnthecity is. Next, atheismnthecity claims that I cannot appeal to Genesis to explain suffering. This is also wrong. In a discussion, one must use the points relevant to the discussion. Genesis does not have to be historically accurate to make a point on suffering and how Christians and Jews view it. This is where theology comes into play. Relying on Scripture is not new. Philosophers have quoted it in order to build up their thought experiments. Take Kierkegaard in his "Fear and Trembling" where he relies on the story of Abraham. Similarly, I cite Genesis to point out the origin of the Christian understand of suffering. Suffering entered the world due to sin. 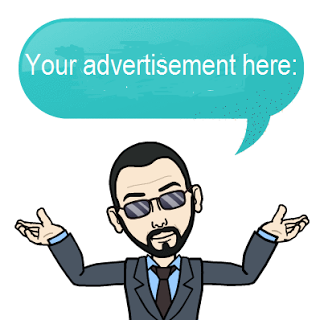 We can see again how atheismnthecity relies on straw man arguments and not facts. "Now, based on better estimates of mutation rates for mitochondrial DNA, use of larger regions of the Y chromosome, and inclusion of rare Y chromosome variants, the dates for mitochondrial Eve and Y chromosomal Adam converge around 150,000 years ago." Ironically atheismnthecity's own quote of Coyne explains that all Y chromosomes of modern humans descend from this one individual..." Why is it that atheismnthecity does not read things that he/she quotes? They have refuted his/her own claims on numerous times! It is just hilarious. What atheismnthecity fails to understand is that Adam and Eve would have been part of the speciation process. Because of this, we would have a genome with information that is much older. Again, we see how lack of understanding that atheismnthecity has of genetics and biology, not to mention anthropology. With every statement, he/she shows his/her ignorance of science. I am not making this up nor am I stating this out of malice. "Evolution is a natural process that was started by god in the beginning; Evolution is partly natural process that god occasionally interacts with and guides; Evolution is a process that is completely guided by god at every step; or, Evolution is false and doesn't happen." This is based on a straw man. Again, no one is stating that God micromanages evolution. Atheismnthecity has to prove this claim before any discussion can be had on it. He/she is working on a straw man fallacy and not actual arguments. Lastly, atheismnthecity lies by claiming that I call atheists stupid in my book. I do no such thing. What I call stupid is the concept of atheism. It seems clear that atheismnthecity does not understand the difference between an atheist and atheism. He/she must not own a dictionary. An atheist is a person. Atheism is a thing or concept. The terms are not synonymous. So we see clearly that atheismnthecity has a poor grasp of not only philosophy and science, but also vocabulary. In my book, I make it clear that I do not call atheists stupid. My criticism is against atheism, not atheists. We can see why atheismnthecity resorts to lying about me. He/she is incapable of addressing my refutation head on so his/her only resort is to attack me and lie about me. Atheismnthecity seems to be a mere charlatan posing as an atheist. His/her arguments are nothing more that misconceptions passed off as arguments. I and other atheists have demonstrated his/her inability to reason. Other atheists have outright mocked the points presented on atheismnthecity's blog. They called him out on his/her poor understanding of physics and philosophy. Some have even stated that I destroyed him. It seems that atheismnthecity believes that taking on theist arguments authomatically means that he/she refuted them. This is not the case based on what I have read. He/she does not actually touch the arguments. What he/she does is say it is wrong, splice up random information that he/she finds on google and then claims that he/she refuted an argument he/she targeted. I have demonstrated that this the case by refuting his/her post as well as, these supplementary replies he/she has provided. Even Catholic philosopher Dr. Dennis Bonnette has called atheismnthecity out on his/her poor understand of philosophy. What else is there to say? Does atheismnthecity want me to call him or her stupid? I will not do so because I have class and know how to properly have a discussion. Nevertheless, atheismnthecity's content has spoken out on who is the real stupid one and it is not Sacerdotus. When vetted against science and philosophy, atheismnthecity has proven him/herself incapable of debate, reason and adherence to the logical constructions and the facts. He/she argues from his/her own misconceptions. There is no way he/she could engage me or anyone who is educated in a formal debate. If he/she ever musters up any courage to debate me formally, the debate will entail atheismnthecity calling me names and saying I am wrong; aka pigeon chess. This is not how people who are educated debate. This is how trolls with lack of academic credentials and class debate. I look forward to part 4 of atheismnthecity's response. So far, this has been elementary. I wish he/she would step up his/her game and give me something difficult. So far, this has been disappointing. I was hoping for a bigger challenged. Atheismnthecity has failed. This one is easy, because it's a short argument. Yahweh is not the "Christian God." Even Pope Francis stated that Catholics/Christians do not own God. As I explained in my reply in my first post, "Yahweh" Is just the way God revealed Himself to Moses. Is it more of an ontological statement than a designation. Yahweh is the god of the Old Testament. But whether you call him Yahweh, or call him Jehovah — or whatever, I don't care what name you give it. All I know is that I can easily think of a greater god than the Bible god, and even Jesus. I can think of a god that doesn't support slavery and genocide. There. I've thought of a greater god than the Biblical god. I can think of a god that has never hated homosexuals or prescribe the death penalty for it. There. I've thought of a greater god than the Biblical god. It's so easy. Saying that there is One God and over 3,000 ways man tried to describe Him refutes the author's claims. There is simply just one God. Man called Him Zeus, Allah, Bhrama, Yahweh, Baal, El, etc. They all had a consensus that there is a creator and just called Him by different names or titles. So regardless of what title or name the author used, he/she is still referring to the One. Yup and I can think of a greater god than all of those gods, so therefore according to the ontological argument, none of them can be real, since god is the greatest conceivable being. The Bible god is far from the greatest conceivable being. This is why the author cannot refute my reply and resorts to ad hominem by calling me stupid, dishonest and ignorant. We can see the frustration. I can see why he/she is upset. When facts corner an uneducated person, panic ensues and the uneducated person becomes defensive. We see this in this author here. He/she simply cannot refute the truth. Um, I did refute his reply. Quite easily. I just called him stupid because he is. Refuting someone's argument, and then calling them stupid is not an ad hominem attack. Calling someone stupid instead ofrefuting their argument is. But we've already established long ago that Sacerdotus doesn't really know what an ad hominem really is, nor does he know much of philosophy, as I've demonstrated over and over ad nauseum. Verdict: It doesn't matter what name you call the god of Christianity, once I can think of a better god, the god of Christianity must be false, according to the logic in the ontological argument. The ontological argument therefore disproves Christianity. 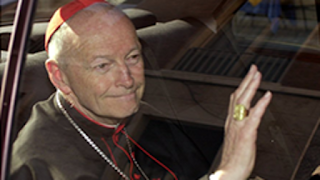 Nothing Sacerdotus said changes that because as always his response misses the mark. Here we see atheismnthecity show his/her stupidity again. Notice how he/she complete ignores my refutation and insists that Yahweh is a mere designation. This is not the case. I have explained thos him/her, but he/she conveniently ignores it because he/she lacks the academic rigor to refute it. Yahweh or YHWH simply means, "I Am or I am who Am." Think about this. "Am" is the present tense of the first-person singular of BE. When God says "I AM" or "I AM who AM," He is describing His nature. He simply IS. He exists within Himself as the absolute being. Because of this, one cannot conceive a being greater than Him. What is bigger that the absolute? What is bigger than the whole? If you have a whole pie or a whole pie of pizza, can you add to that whole? The answer is a big no. To even try to conceive a God that is greater than the absolute greatness is illogical. God is greatness. God is love. God is knowledge. God is hope. God is existence. See the trend? God is the absolute. What atheisninthecity is proposing is like filling a glass up to the rim and then claiming that he/she can fill that cup even more and call it "full." That would not be a full cup. It will be an overflowing cup. Note his/her poor understanding of the fact that the 3,000 designations given to God are based on cultural facts. Moreover, God has never prescribed the death penalty for homosexuals. What is described in Leviticus is the apoditic law. Again, had atheismnthecity done his/her homework, he/she would not make this ridiculous claim. My book Atheism Is Stupid goes more indepth on this. Hopefully, atheismnthecity will read it and learn so he/she will not make the same mistake. We can see how atheismnthecity's replies get shorter and shorter and have dissolve to a mere "yup." Everything is "yup" now. This is because he/she is running out of sophism and cannot defend the indefendisble. 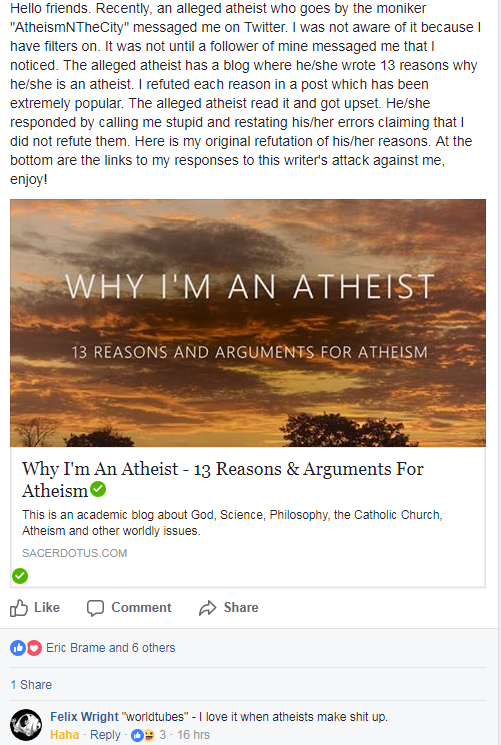 I have demonstrated via science and philosophy how his/her 13 reasons are more like 13 reasons why atheism is stupid. This may be the title of a future book! The 13 reasons posited fail when vetted against science, philosophy, math, and theology. This is why atheismnthecity has no choice but to resort to ad hominem by calling me stupid and other names. He/she has no response. Again, recall Socrates' statement on the loser resorting to slander when losing a debate or discussion. We see this in the replies of atheismnthecity. Notice how no one, not even other atheists, take this blogger seriously. I feel bad for him/her. He/she really thinks that he/she is an Aquinas version of an atheist who has formulated strong arguments against God and religion. In reality. he/she is a failed atheist apologist who has provided only a defense to to the reality that he/she is not well educated. This is the only thing he/she has proved. His/her content is child's play to me. This is why I am able to refute it to easily and as fast and he/she posts it. You don't need a philosophy degree to properly show theism, Catholicism, and his high-school level arguments are false. I can easily show that. My arguments are too sophisticated for him, but at first glance they seem easy to refute. It's a mistake many make.